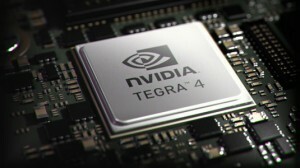 ZTE and NVIDIA have just announced that the two have paired up to bring the first round of Tegra 4 smartphones to the market. 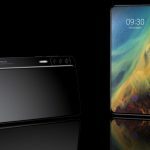 The first release is set to be out by the end of the second quarter of this year, and it will head straight to the manufacturer’s home base of China. With no details on what those phones will be just yet, we do know that the Tegra 4 will be paired with NVIDIA’s Icera i500 LTE-capable modem, giving those in China the super fast broadband speeds that we’ve all come to know and love. The Tegra 4 chipset is a quad-core 4+1 ARM Cortex-A15 configuration with a GPU that has 72 cores — I don’t know about you, but that sounds like a boatload of sheer performance goodness. If ZTE ever needed a phone that would help launch the company into the upper-echelon of smartphone manufacturers then tasking Tegra 4 for the job is not a bad idea at all. 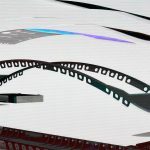 We’ll have to wait a while longer to know what, exactly, we’re in store for, so be sure to keep your eye on Phandroid as we had into what should be an exciting second quarter. Read on for full press details. 20 February 2013, Shenzhen, China – ZTE Corporation (“ZTE”), a publicly-listed global provider of telecommunications equipment, network solutions and mobile devices has announced that it is partnering with NVIDIA to deliver the first super phones powered by the NVIDIA® Tegra® 4 mobile processor, with the first models to reach the market before mid-year. The NVIDIA Tegra 4 will enable the ZTE devices to deliver ultra-fast web browsing, improved app load times, more realistic gaming experiences and great battery life – thanks to the processor’s 72 custom NVIDIA GeForce® cores and quad-core ARM Cortex-A15 CPU. Tegra 4 also enables worldwide 4G LTE voice and data support through an optional chipset, the NVIDIA i500 processor. ZTEand NVIDIA are also planning a new LTE super phone using the i500 LTE chipset for blazing-fast networking. ZTE is a publicly-listed global provider of telecommunications equipment and network solutions with the most comprehensive product range covering virtually every sector of the wireline, wireless, service and terminals markets. The company delivers innovative, custom-made products and services to over 500 operators in more than 140 countries, helping them to meet the changing needs of their customers while achieving continued revenue growth. ZTE’s 2010 revenue led the industry with a 21% increase to USD10.609 billion. ZTE commits 10 percent of its revenue to research and development and takes a leading role in a wide range of international bodies developing emerging telecoms standards. A company with sound corporate social responsibility (CSR) initiatives, ZTE is a member of the UN Global Compact. ZTE is China’s only listed telecom manufacturer, publicly traded on both the Hong Kong and Shenzhen Stock Exchanges (H share stock code: 0763.HK / A share stock code: 000063.SZ). For more information, please visitwww.zte.com.cn.